Furcadia has many areas to accommodate our diverse player base! There are Main Maps for chatting, roleplaying, Dream uploads, and games. There are also areas reserved for certain age groups, called Dream Standards, and each requires different levels of behavior. 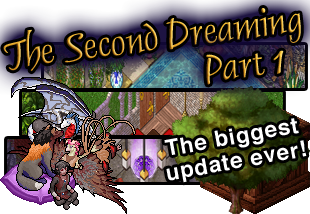 Vinca Nexus is the heart of Furcadia, or the 'Archipelago of Dreams'! This is a T+ Environment. You can reach many Main Maps from here. At the heart of the Vinca is the palace that the Primes of Furcadia built, which hovers on billowing white clouds. Furcadia's welcome map for new players is the Challenge Resort! You can learn about Furcadia by reading the signs, which will earn you a free cookie. There many areas to sit and chat with new friends, and you can try activities like fishing, Kitchen Khaos, Muffy's Mushroom Hunt, and Roland's Races! Just explore, enjoy, and make new friends! Allegria Island is an acropolis scattered with the remains of ancient temples to the Primes. This place is especially rich in Dream energy. Just face an arch you like, and press Ctrl-T to upload your Dream. This is a T+ environment. Use F3 to move between multiple points around the Dream. Naia Green is Furcadia's Community Center! Naia is an T+ Environment for new and experienced furres to learn new things, meet friends, help others, and join groups. This is a friendly and safe place. Please keep your behavior newfurre friendly and helpful. Please visit here for rules, information, and a more detailed map of Naia Green! The Wylde is a secret place far away from the rest of Furcadia, where more primal laws rule. Tread lightly, for who knows what lurks in the dark secret places. This area is a T+ environment and is especially for Ferians, or four-legged creatures in Furcadia. There are lots of biomes, and Dream uploads are inside the habitats. The Imaginarium is the main roleplay map in Furcadia, where you can find lots of player-uploaded Dreams to roleplay in. It is a T+ Environment, but allows for M16+ Dreams (for those who would like to include more violence in their Dream). There are entrances to two additional main areas suited for roleplaying, Theriopolis and Goldwyn. Furrabian Nights is an exotic city built on terraces of a hill. This is an Adult 18+ environment for sexual content and crude language. Children under 18, or anyone playing a character under 18, are not allowed here. Many players upload their own Dreams in this area, which can be found in the doorways. Use F3 to move throughout the different locations of the city! It is early evening on a lazy day in Olde Town and time to enjoy friends and meet other grown-ups. Take a date to the cafe or jazz club, have a girl's night on top the chocolate shop, or chat about the latest book you are reading in the book store. This is an AOClean Environment for socializing. Please act with maturity and respect; refrain from violence and sexual content. Use F3 to move between multiple points around the Dream. To upload your own Dream, face a phone booth and press Ctrl+T. Hawthorn is home to some of Furcadia's rougher crowd. Hawthorn earns its M16+ Standard for violence and crude language, rather than sensual themes. This is the place to upload your dream if you wish to explore the more savage side of Furcadia. Those of a sensitive disposition or who are under 16 should not be here. 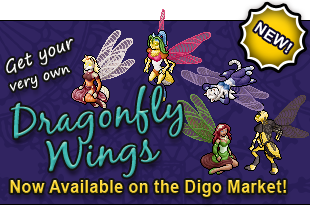 Meovanni Village is one of the oldest Dreams on Furcadia, so it has a classic feel to it. This area is a T+ environment and is designated for friendly conversations and Persona Play.